CHESTERTOWN, MD—John Beardsley, Director of Garden and Landscape Studies at Dumbarton Oaks and adjunct professor of landscape architecture at Harvard University, will speak on “Art in the Environment: Sketches from the Field,” Wednesday, October 17 at Washington College. The illustrated talk, which is free and open to the public, will begin at 5 p.m. in Decker Theater, Gibson Center for the Arts, on the College campus, 300 Washington Avenue. Trained as an art historian, Beardsley has organized exhibitions for numerous museums, including the Hirshhorn and the Corcoran in Washington, D.C., and Houston’s Museum of Fine Arts. In 1997, he was curator of the visual arts project “Human Nature: Art and Landscape in Charleston and the Low Country” for the Spoleto Festival U.S.A.
Dumbarton Oaks, a historic estate house and gardens in Washington’s Georgetown neighborhood is home to Harvard’s Dumbarton Oaks Research Library and Collection. Established in 1969, the Garden and Landscape Studies program there supports advanced scholarship in garden history, landscape architecture, and the study of significant landscapes around the world. In his role as director, Beardsley oversees summer internships, a lecture series, a publications program, an annual symposium, and a fellowship program. He also conceives and manages a series of installations of contemporary art in the institution’s historic gardens. His visit to Washington College is sponsored by the Department of Art and Art History and the Center for Environment & Society. For more information contact Rachel Field rfield2@washcoll.edu or 410-810-7162. 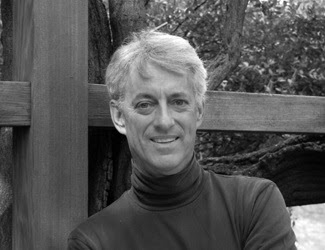 Click here to read an interview with Beardsley in the Chestertown Spy. Nice post. Beautifully done, you are a great creator.